There are numerous concepts involved in trading the financial market. This is one of the reasons why some people are hesitant to try investing their money in major industries such as stocks and forex. The use of financial leverage is one notion that remained vague to many. While there is no single formula for success in the financial market, there are quite viable strategies, such as leveraging, which can help maximize returns and boost your investment. It is important to understand its uses so that you will reap its benefits. 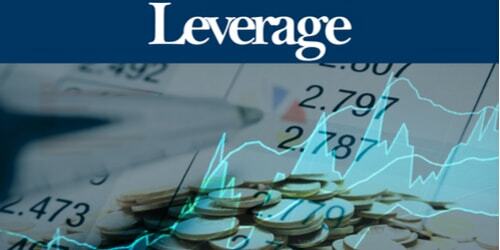 Financial leverage is an activity that involves borrowing of money to be able to increase the percentage of investment returns. Most investors used this strategy to finance their assets. Financial leverage can be compared to a fulcrum in a seesaw. A fulcrum is responsible for working in an exert force despite a limited strength. It is the point that supports the balance. Same goes with the role of leverage on your investment. In the financial arena, financial leverage can serve as the fulcrum that will balance your investment and increase its profitability. Although it involves interest expense and potential risks, its ability to yield rewards cannot be questioned. A company does not only rely to its shareholders for capital source. Of course, they have to borrow money to boost their available capital so that more investments can be made. This also increases the returns for shareholders, if it does earn profits. Let us say the company’s profits rose by 5%, then the value or dividends of shareholders also climbed by 5%. But if the company is leveraged, and the investment from that borrowed money earns profit, then the shareholders’ dividend will increase without having to cover for the payment of the debt. As you invest in financial assets such as corporate bonds or the company’s shares, it is very important to look at the balance sheet of the firm. In this case, debt is not always a bad thing. In fact, financial leverage can give you a clearer picture of the firm’s success through acquiring debt.